There are so many terms out there for the types of houses that are available that it’s hard to keep everything straight. What follows is a quick course in the various types of houses available. Site built and stick built home usually refers to a traditional single-family residence that is built at the same site on which the finished home will stand. It is built by a local building contractor who builds the house according to local construction codes. Stick built home can also refer to a modular home, but not site built. Confused yet? Let’s move on to mobile homes and their new, improved image. First of all, forget the term “mobile home” – they’re now called “manufactured” homes. The old rectangular shoeboxes you used to see (and still do) packed together along the highway have been replaced by 2,500-square-foot structures with sun rooms and decks. The Manufactured Housing Institute defines a manufactured home as "a single-family house constructed entirely in a controlled factory environment, built to the federal Manufactured Home Construction and Safety Standards, better known as the HUD Code." Most people still refer to them as mobile homes, but the MHI says that "mobile home" is the term used for homes built prior to June 15, 1976, when the HUD Code went into effect. The U.S. Department of Housing and Urban Development, to further clarify, defines a manufactured home as a dwelling that contains at least 320 square feet with a permanent chassis for transportability (or “mobility”) of the home. These home are constructed according to Federal code that applies nationwide. Thanks to the uniform code, these structures are thoroughly inspected at the factory and have to pass muster. Most manufactured homes are sold through retailers. Twenty-five percent of new residential construction and home sales annually in the U.S. are manufactured homes. One reason: this is the lowest cost stand-alone residence available. You can purchase a brand new single-section manufactured home for less than $29,000! And manufactured homes are losing their stigma thanks to new design – in other words, mobile homes have lost their boxy look. There are a few drawbacks, of course. One is that many communities do not allow manufactured homes (the old stigma rearing its ugly head) and another is potentially costly insurance. This is thanks to the perceived risks to manufactured homes. Insurance costs are based primarily on exposure to risk, and statistically, according to insurers, manufactured homes are the riskiest types of homes. Take weather damage, for example. Manufactured homes are less able to sustain high winds, because they’re lighter than stick-built homes and easier to blow over. And while manufactured homes are not more likely to catch fire, they are more likely to suffer heavy damage, if not complete devastation. Frozen pipes are another danger, because the walls are often not as well insulated. And now for a look at the new kid on the block, modular housing. Most people have a hazy-at-best idea of modular homes – are they made of molded plastic? Are the rooms ultra-modern pods, or what? No, and no. Once built, they are virtually indistinguishable from traditional site built homes. Like manufactured houses, they are built in a factory and quality inspected every step of the way. Unlike manufactured homes, the pieces (“modules”) of the house are transported to the building site where they are put together by a local building contractor, and they have no chassis or wheels. Since all work is done indoors, there is no weather damage or delay. Some floorplans can be built in the factory in as little as one to two weeks, and two to four more weeks to attach the modules to a concrete foundation, hook up utilities and complete the home. 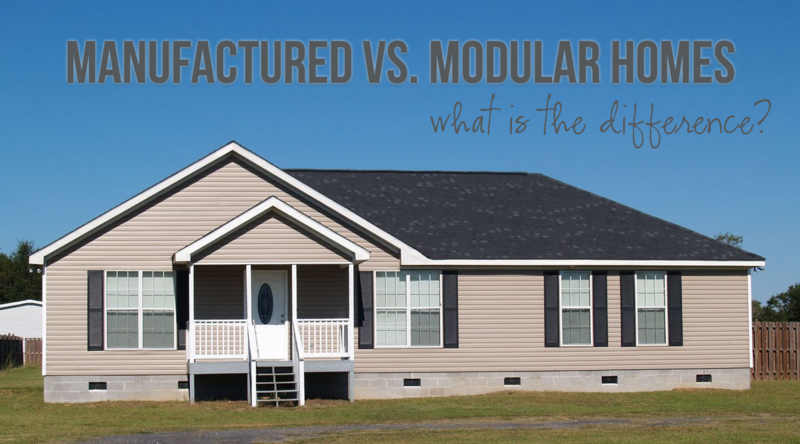 Unlike manufactured homes, modulars must conform to building codes in your specific location. And while they do cost more than manufactured homes in general, they usually cost less per square foot than for a comparable site-built house and are extremely energy efficient. Few communities have restrictions against modulars other than size requirements. Thanks to computer-aided design technology, you can select from a virtually unlimited range of styles. The modules even can be shipped with wall finish, carpeting, bathroom fixtures, cabinets, countertops, plumbing, floor coverings, electrical systems and insulation already installed. Modular housing may be the wave of the future. It accounts for 60 percent of all residences in Sweden and 30 percent in Japan. Modulars work well for people who want to build in remote locations and rural areas, and unlike site-built homes, they cut waste and environmental impacts. Most of the time, modulars qualify for traditional mortgages because they are usually part of a land and home purchase like site-built homes. Whether you are looking for a site built, manufactured or modular home, let me put my expertise and award-winning quality service to work for you today!